As editor/publisher of this USA-products online resource, I’ve had the pleasure to discover American manufacturers previously unknown to me. Liking stuff that lasts and a strict adherent to “Buy once, cry once”, I’ve periodically scanned the Filson website. Past middle age but not yet in retirement, I own nearly everything I want or need. 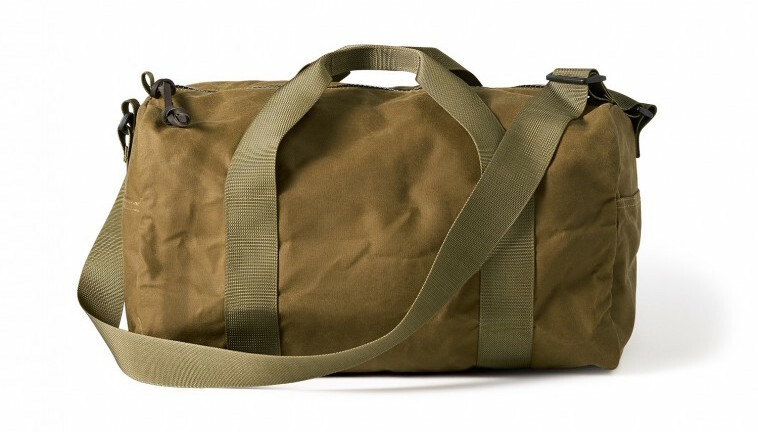 With the possible exception of a rugged travel duffle. Large enough to pack -sparsely- for ten days, airline carry-on approved, durable, and functional. Filson manufacturers many such bags in the wonderful Pacific Northwest. Some with enough brass and leather to compliment the most fastidious among us. Not wanting to broadcast my great wealth, I focused on their nylon-lined Tin Cloth small duffle with integral nylon shoulder strap. And waited . . . Eventually funds and opportunity aligned, the bag ordered and delivered. Joy, joy, joy! Well worth the investment. 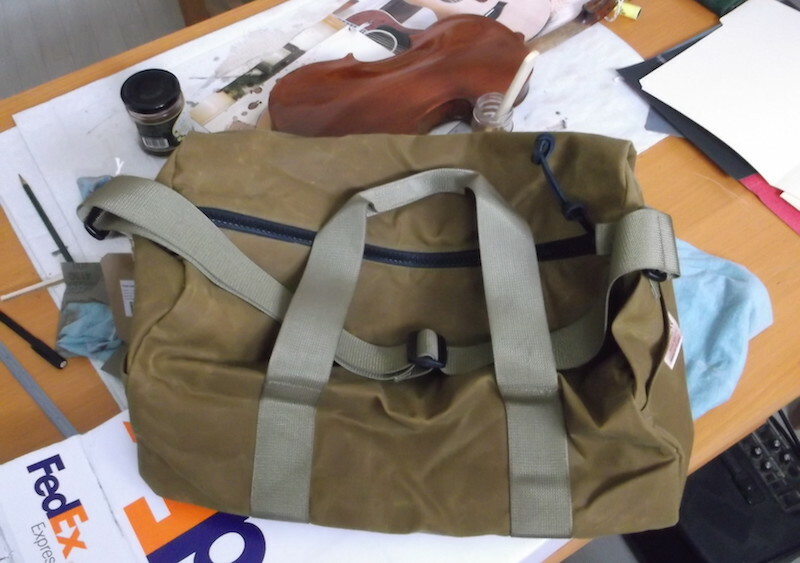 Far superior to my nylon-only model the Filson replaces. No questionable seams through which an important item may disappear. Rugged enough to withstand 180 mph airborne flight off the roof rack of my Maserati onto rough asphalt. Ready for a lifetime of use and above average abuse. My heirs will fight over Uncle Jimmy’s duffle. This entry was posted in Product Review and tagged american duffle bag, best duffle bag, filson duffle bag, overnight bag america made in, tin cloth duffle, usa travel bag, USA-products online resource.